Have you decided to quit that 8 to 5pm job? or have you decided to follow your dreams? It is a very good decision and a step in the right direction to invest in your own small start-up. But to get this business idea running you have to invest your resources, time and efforts. What I am going to tell you today is how you can fund or raise money for that little startup on your mind. Though you may have a little savings but I bet it's surely not going to be enough, so you just have to talk to friends and family and raise a little extra cash. Believe if the business idea and plan is feasible you will raise a lot from them. But if they do not believe in your vision try convincing them. By using VC I mean a Venture Capitalist firm, these firm provide financing for small businesses and sometimes when these VCs see your potentials for growth they do all it takes to see you reach the peak. There are several institutions in place today where you can get business loans from like the Bank of Industry and LAPO. Though these institutions have their terms and conditions it is advisable you reach out to them first. Payday Loans: Short-term, but can have high interest rates. These loans can be quick and simple. You can borrow anything from N50,00 to N100,000. 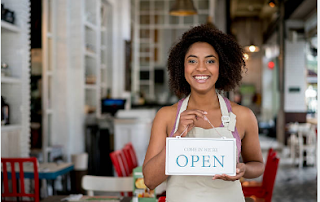 Line of Credit: Most useful for small business owner. Usually lowest interest rates. Unsecured Loan: Has no collateral, but granted only if you’re considered low risk. As a brand new business however, you’re unlikely to qualify for one. Installment Loan: Loan to be paid back with equal monthly payments that cover both the principal and interest. In conclusion, Finance your deeam, empty your savings. Since it's what you are passionate about then go for it. Starting a business with your own money takes away pressure.